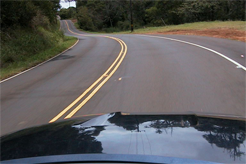 You must learn safe driving practice from the beginning of your driving career because bad habits are hard to break. If you want to drive at any other times then having lessons with a driving instructor in Devon, then the accompanying driver must have held and still be holding there full licence for 3 years, and be over the age of 21. As a learner driver you must display 'L' plates at the front and back of your car, easy enough to be seen. You can take your theory test once your provisional licence becomes valid, this is a 2 part test, 1 part multiple choice and 1 part hazard perception. Even though you can apply for your provisional licence 3 months before your 17th birthday, it wont be valid until the day of your 17th birthday, this means that until your 17th birthday, you cant take any lessons or do your theory test. If you are receiving disability living allowance at the higher rate, you can obtain your provisional licence 3 months before your 16th birthday and start driving on/after your 16th birthday. You can apply for your provisional driving licence 3 months befor your 17th Birthday, if you are disabled and receiving mobility allowance you can apply as soon as you are 16. When you are then 17 you can legally drive a car on public roads throughout Devon and the UK. You are allowed to start practice on private land, as long as it is far away from public highways and the site is gated. Befor you start learning to drive it is always best to get your eyes tested, make sure you can read a number plate when in good daylight from 20.5 metres away, which is about 5 car lengths. If you wear glasses or contacts make sure you wear these when ever you are driving. When you are learning to drive around the Devon roads or having driving lessons with friends or family you will need to put 'L' plates on the front and back of your car where they can be seen easily. If you do start learning by having driving lessons with family and friends and not a qualified driving instructor you must make sure that they are over 21 with a full driving licence and have been driving for 3 years or more. When you are paying for driving lessons with a driving instructor they will have insurance to cover you, but if your practising with friends or family , make sure you are covered on their insurance policy. Even when you are a learner driver the car you are driving must be roadworthy and properly taxed, all these details will be taken care of if you learn with a qualified driving instructor. There are far more challenges for drivers on roads around Devon today than before, so if you are just starting driving lessons you want to be as prepared as possible from a trained driving instructor. 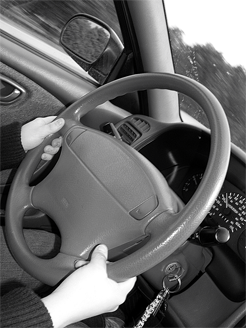 If you are nervous about starting your driving lessons, dont worry, its perfectly natural. The most important thing is that you learn with a professional driving instructor in you local area who know the roads and can help make you confident in your driving at your own speed. 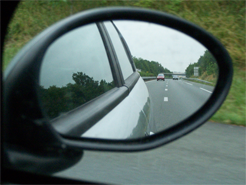 Once you have started driving lessons with an instructor you can practice with friends or family inbetween lessons. But its best to do this when you feel comfortable behind the wheel. All of our chosen Driving instructors in Devon are have reliable and easy to handle cars with dual control to keep you safe. Enjoy learning, all our chosen driving instructors are friendly, and patient. The more you can relax the easier it will be to learn, and if you enjoy your driving lessons yuo are more likely to build up your confidence and driving skills faster.